This Tablet stand allow you to enjoy the happiness when you lie on the bed and leisurely and without tiring your hand with this Tablet stand or iPad stand or Ebook Stand. All these tablet stands and iPad stand ebook stand mounts or holders allow you to use your device hands-free. Our products for iPad like iPad stand ipad holders ipad mount and for Tablet like tablet stands, tablet mounts, tablet holders and ebook products like ebook stand, ebook mount and ebook holder enable you to use your Tablet, iPad, Ebook Comfortably in your home or office space and adjust it to any viewing angle, orientation or position with our flexible, multi-directional adjustment, Height-Adjustable ipad / Tablet Floor Stand for iPad. A Perfect floor stand or desk stand for your living room, bedroom or office workstation; these height-adjustable stand and floor stands are lightweight and flexible, so it can easily be moved and set up anywhere to enjoy apps, videos and everything you need from your tablet or iPad or eBook. Our iPad floor stand will help you Whether you're standing, reading notes or music, preparing for a performance or giving a presentation; laying down of sofa or bed for watching your favorite movie; sitting, working on a project, browsing or playing a game. 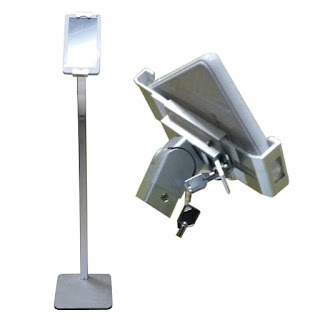 You will find comfort and convenience using your iPad and tablet with our adjustable ipad or tablet floor stand. These ipad stand or Tablet stands offers sturdy support and multi-directional adjustment comes with heavy base. 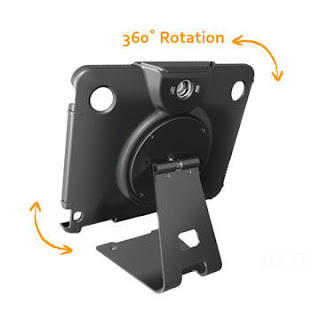 The secure tablet and ipad holder is specially designed for the iPad (all type) and can rotate 360 Degree to switch between landscape and portrait orientations and can also pivot to adjust the viewing angle. So conveniently place your iPad / tablet and eBook anywhere at home or work and enjoy.